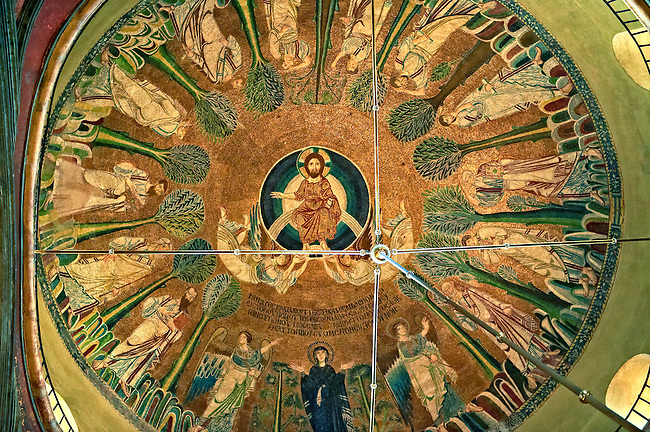 Fresco in the 8th century Greek cross domed Basilica of The Hagia Sophia, γία Σοφία, orHoly Wisdom. A Palaeochristian and Byzantine Monuments of Thessaloniki, Greece. A UNESCO World Heritage Site.